Importance: Base for World Heritage site of Hampi. Gangavati is a suitable location with a good heritage hotel to visit the world heritage site of Hampi. 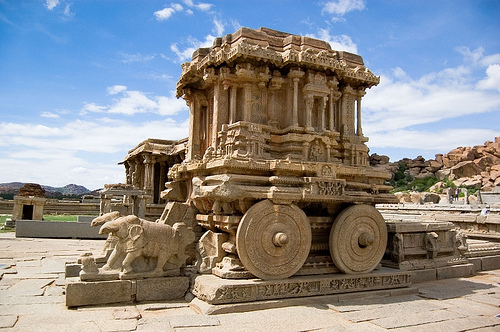 The ruins of Hampi, the ancient Viajaynagar, are hardly 20 kms from Gangavati. The heritage hotel Kishkindha derives its name from the mythological monkey kingdom of Vali and Sugreev in the epic of Ramayana. It is believed that the area in and around Gangavati was the monkey kingdom of Kishkindha.